Superdry men's Moody light bomber jacket. 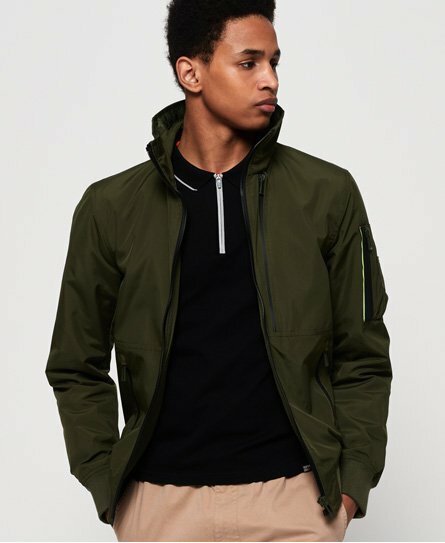 This bomber jacket features a main zip fastening, two zip fastened front pockets, one pocket on the sleeve. This jacket also features one inside pocket, perfect for keeping your valuables and ribbed cuffs and hem. Finished with an embossed Superdry logo across the back and a rubberised Superdry logo tab on the side seam.